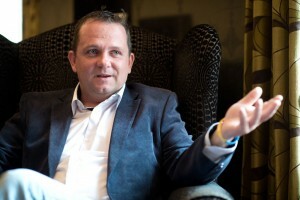 WHEN Davy Fitzgerald entered the Temple Gate Hotel on Wednesday morning, nobody noticed. It wasn’t that people were deliberately ignoring the Clare hurling manager. It was just that his attire would have led them astray. Replacing the Clare top was a sharp-looking jacket, far removed from the dress code Davy dons when patrolling the sideline, lobbing the odd enraged query at referees and sometimes even following them for a quick post-match word. Wednesday’s Davy cut a much more relaxed figure and one that didn’t blink or avoid questions when the conversation flowed. Before talk turned to referees, Clare McNamara, Colm Galvin, Clare’s 2015 on-field record and the influence of Davy’s father Pat Fitzgerald, the air had to be cleared somewhat. Given that there has been the odd moment of tension between this reporter and Davy, how on earth was this happening? How did we get here? “It was suggested that me and you talk. When it was put to me would I, I said fair enough. We might have had issues in the past. Things I wouldn’t have been happy about and you have things you wouldn’t have been happy about. But listen, this is moving forward. The way I look at things anymore is, I’m not looking into the past, I’m looking forward. That’s not going to stop you writing stuff or it’s not going to stop me having my opinions and that’s it,” the 2013 All-Ireland winning manager replied. Fitzgerald says he doesn’t read everything that is written about him or his team but that most of it comes back to him. “To be honest, I don’t really read a lot of stuff. The problem I have is, I have people coming telling me about a lot of the stuff. People are entitled to their opinions. All I can do is do what I do on the sideline and be passionate about Clare hurling. I’ve tried to focus more on that. A few times it might get to you but, by and large, you try to forget about it and do your own thing. I’ve tried to do that,” he stated. 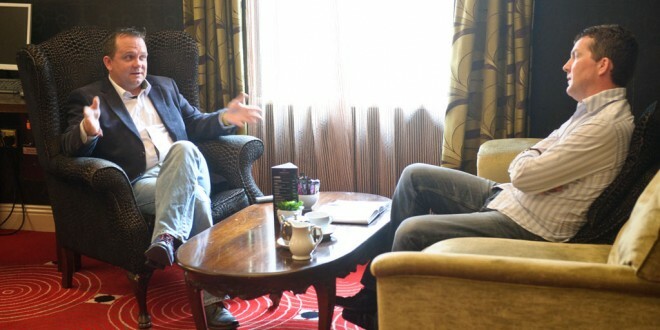 Eventually, it was time to talk hurling and, specifically, 2015. Clare have only won a single game this year but Fitzgerald is not panicking. “I said after 2013 that we were going to find it hard over the next year or two. Our tackle count and our turnover count from 2013 to 2014 went down significantly. We were averaging about 19 turnovers a game in 2013. Last year, we were only averaging 12 or 13 and our tackle count was down about 15%. In the last league game against Kilkenny, we got back up to 15 or 16 turnovers and for the Limerick game we hit 20. So I know that the intensity and work rate is coming back,” he revealed. If Clare lose their first round All-Ireland qualifier game on July 4, they are out of the championship. 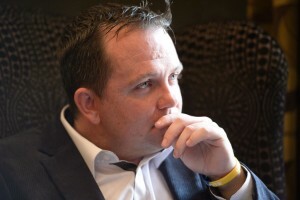 However, Davy Fitzgerald does not believe that his position will be under threat if that happens. In fact, he is confident that Clare can again reach their 2013 levels. “No,” he said when asked if his job could be in jeopardy if the result goes awry. “I am fairly happy with what we’ve done. I believe it will come right. If I ever feel there comes a stage where I have nothing to offer the team…I won’t be in this for the next 10 years. I know that myself and I won’t try to be but while I still have something to offer, I’ll be there. “If it comes right for us on July 4, great. If it doesn’t then you’ll have to go back and look at different things and make tweaks where we lost games by a point. If we were getting hammered in every single game, then I’d have to seriously have a look and ask had the lads stopped listening to me? There is no manager who can stay for years and years and I don’t expect to. What will be will be but I know, at the moment, that we’re pretty close. It is about success and I don’t want to be there not winning stuff either,” he reflected. Davy’s spate of run-ins with referees are well documented. He insists, however, that this happened to Clare in his own playing days and other inter-county managers adopt a similar approach but that the focus is on him. “This isn’t the first time that perception was there in Clare. If you take the end of the 1990s, it was definitely there. We had a big problem with referees. I don’t have any major problem with them. He [Colm Lyons] came over to me the last day because I questioned a ball that was thrown in front of me. We discussed that there and then and he understood what I was doing. I think it is pretty unfair that the camera seems to be on me all the time. “RTÉ will probably show three or four minutes of me over 75 minutes but isn’t it funny that they get me when I’m asking a question? I can promise you that Brian Cody, TJ Ryan, Derek McGrath or Jimmy Barry Murphy are all the same. If I’m silent on the sideline, I’ll have the Clare crowd giving out about me for not saying anything. You can’t win in my position. The 65’ after half-time against Limerick wasn’t a 65’. It clearly hit his back. Shane Dowling said himself his free was wide. Our lads would accept that the goal we gave away was soft. We just needed a little break. I’m hopeful we’ll get it,” he said. Interestingly, Davy would much prefer to view matches from the stand where he would be well away from the men in the middle. He says his players want him on the sideline though and, so, he will be staying there. When Clare had Pat Donnellan sent off before half-time against Limerick, they seemed to open up and play better hurling. However, when Seanie Tobin was red-carded, Clare reverted to playing a sweeper. “We have six backs and they have six backs at the far end. The rationale was ‘do I take one of my backs out and put six on six below’, which limits our space and give them way more space above? Trust me, the last thing you want to do is open up space for a forward line. Why crowd our forwards and why open up our backs? You don’t want space. Limerick had also pulled out another forward out the field,” he explained. There was also a few questions that day as to why Domhnall O’Donovan was not moved off Cian Lynch earlier. “We knew that Paul Browne was going to move, so what we did was we had asked Shane Golden to go out to midfield. We tried to play three across the middle to make sure that we covered that gap. Dunny [O’Donovan] was made a bit of a scapegoat. Cian Lynch got very good ball in a lot of space. He still only scored two points off Dunny but it looked like he had him absolutely cleaned. We thought about a move earlier and then we discussed it and went over what Lynch had scored and it wasn’t that bad. Then we switched him and Davy McInerney found it tough going, even though he’s one of the best defenders in Ireland. I can remember this time last year we were being asked why wasn’t Dunny playing and now we’re being asked why we didn’t take him off earlier. I got on the stats from my stats guys, who are very good. We try and work it as good as we can, although we’re not going to get everything right,” Davy acknowledged. Fitzgerald denies that players are playing to strict orders. “Like any team, you’ll have a certain few tactics or a pattern of play but you take a fella like Tony Kelly, nine times out of 10 my words to Tony are ‘go and play where you want’. That would be to the likes of him, other guys you might ask them to track back. It’s nothing exceptional and they are not tied to anything. We might have two or three different game plans we can change to with formations. The formations are to allow freedom up front and maybe to help in defence a small bit,” he explained. 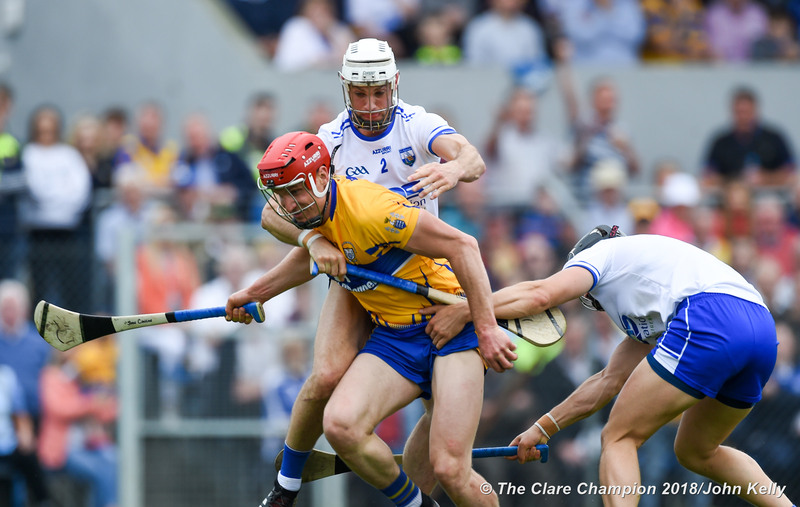 The Clare manager insists his players are actively encouraged to hurl with freedom. “We might have a certain amount of tactics but the biggest message for me is play with freedom and that’s even at training for the last few nights. I feel, even the last day, they are trying to do everything so well and do everything on the button. Maybe they feel under a bit of pressure because we were All-Ireland champions in 2013 and we’ve won a few U-21s, they feel that they have to do everything better than everyone else. “In 2013, it was something I really worked on, to try and get them to let themselves go. The day of the All-Ireland final they were playing keepy-uppy outside and the dressing room talk was very light. Take the last day before we played Limerick, I was on the field 10 or 15 minutes before the team came out. That’s because Bugs [Brendan Bugler] and Conor McGrath took the team talk. It’s not about Davy Fitz as manager. I do little things with my backroom staff but the players are well able to go and express themselves and do their own thing. We trust each other. I’d just like to see them letting go. They feel maybe under a small bit of pressure,” he observed. Speaking of freedom, Fitzgerald completely discounted the suggestion that he micro manages his players off the field. “There is a bit of slack. The only thing is when they are off the drink at a certain spell. I ask them to ring me when they are going out, so that someone won’t ring me and say ‘I heard x or y was out’. I trust them. Every now and again a guy will make a mistake. I’m not going to kill him over that. It’s just about keeping a happy medium so that we don’t go absolutely ballistic,” he laughed. The Clare manager’s live post match interview with RTÉ’s Clare McNamara threw plenty of comment in his direction. He says that while people think he loves the limelight, that is not the case. “I haven’t looked at that interview. The only thing, for the record, that I was upset about was the four minutes. I saw four minutes on the fourth official’s board. I was adamant, I asked the question and I didn’t get a proper answer to it. That’s all that annoyed me. I’m a passionate Clare man and I’m not going to change that. While there are certain things that I would like to change maybe in interviews, I can’t change that. That’s just the way it is. As much as certain people would like to think I like being in the public eye, I absolutely detest it. I live a very simple life. I’m not perfect but I don’t go out too much. I stay in my own environment. I actually don’t know what people are talking about there. Being honest, I live for training, doing stuff with the lads and watching DVDs of games and training. That’s what I do. I would be pretty oblivious to a lot of the stuff. The only thing I’m not going to change is the passion I have for Clare hurling. Whether I am the most talked about person in Clare or not, I don’t want that. The most important thing to me is those guys and that they get the best help and training they can get,” he said. He doesn’t agree with the suggestion that he must find it difficult to switch off from hurling. On a broader note, it has been said that given Clare’s four All-Ireland U-21 wins since 2009, the senior panel should have no shortage of outstanding talent. Another question that had to be put to Davy related to his father and Clare GAA county secretary, Pat Fitzgerald. The perception is that having his father in that role must be a huge asset? “I find it ten times harder asking him can we do this or that because he probably feels that everyone is going to question him. Bernard Keane (county board treasurer) is who I deal with most of the time. He will tell you that I am so on top of everything we spend. I am wicked conscious of where we are financially. Working with Dad, I think he is probably too straight for his own good. We’d fight and I mean that. We fight regularly. I’d be fairly certain that he probably gives me a tougher time than he has given other county managers. I think, in his position, he feels that he has to do that. People won’t believe it but that is 100% the fact. If I want sliothars, I put it by him and he says ‘what did ye do with the last bunch ye got?’ Or if we want a meal, it has to be the best price you can get. Everything has to stack up,” he noted. 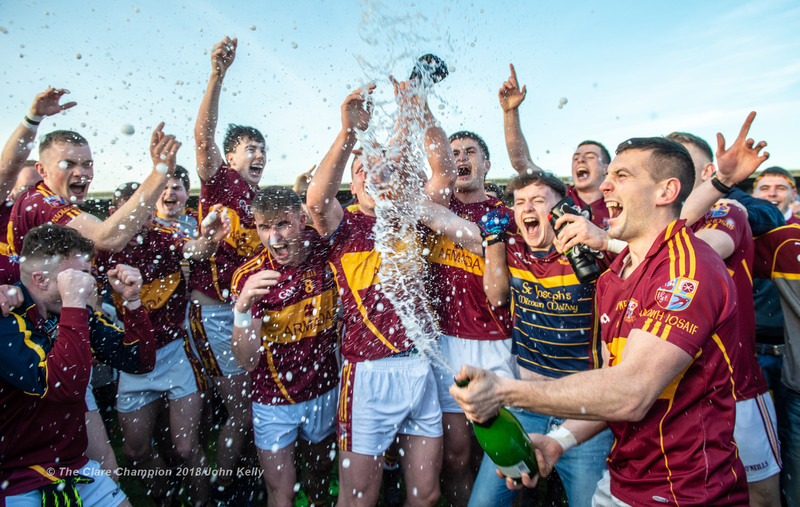 The Clare County Board had to deal with a revolt last year when clubs insisted that round two of the championship had to go ahead, although the county management team were opposed to it. “Last year was bad. Last year affected us but I made doubly sure that was not going to happen this year. We are without the Clonlara and the Clarecastle players all this week. I haven’t had them but I’ve said ok. I’ve also released the players for more Clare Cup games than any manager has. It mightn’t be ideal but it’s a bit of a compromise. There are things I don’t like having to do but I have to do them to keep club and county as balanced as much as possible. In Ger Loughnane’s time, none of this happened. Even after that it didn’t happen,” he claimed. “There might be a perception out there of Pat’s role but it carried no weight last year. At the end of the day, clubs make decisions as well and you have to work with them. It’s not nice the week before you play a game that you have this (club fixtures) meeting but I understand that clubs have a job to do. They’ll probably see it from their side and I’ll see it from my side. Pat has nothing to do with that situation. I laugh sometimes when people ask him can he change this or that fixture. That must mean that the guys on the fixtures committee have no say altogether, which I doubt is true,” Davy noted. He was very keen to point out that his selectors often out vote him when it comes to team selection. He maintained that not having everybody agree with him is very necessary. “Yes men are no good to you. I can tell you now the one rule I made coming into this job, I wasn’t bringing in friends of mine. Louis [Mulqueen] I knew but I wouldn’t have been very close with him. Mike Deegan, I hadn’t a clue about and Mike Browne, I had never met. The one thing I knew about them was they had their own minds. I haven’t got my way on team selections. Fact! Clare are currently without 2013 All-Star and treble All-Ireland U-21 winner Colm Galvin. Davy, though, would love to have the Clonara man back in Clare and hurling for the county this summer. “I’ve texted his dad. I don’t know yet if he’s coming back. I’m trying my level best. His dad is a massive Clare man and Clonlara man. You’d never know. Hopefully he might. 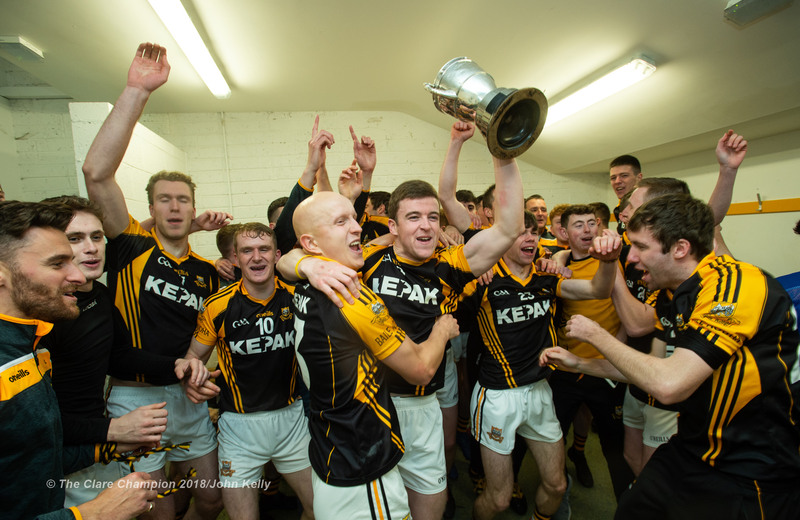 He loves his county and his club,” the Sixmilebridge man said. 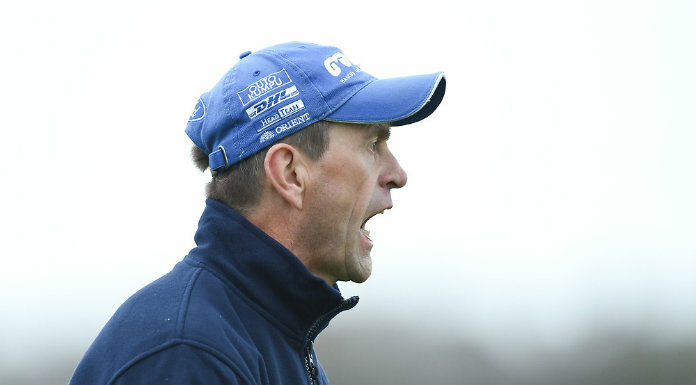 Coach to Clare’s three-in-a-row All-Ireland winning teams, Paul Kinnerk is not involved this year but Fitzgerald is very keen that the Limerick man will be back on board. “He told me he would. I trust Paul and I have great time for Paul. We’d be really tight. He’s going away travelling now for a few months, which he said he was going to do. I want to make sure himself and Maggie have a great time. He deserves a good break. Just 6,000 Clare supporters travelled to Thurles for the Munster quarter-final game against Limerick. However Davy insists that Clare’s core support base has always been small enough. “It was the same in the late-’90s. We have a good Clare support. It’s not massive but we have a lot of genuine support out there. I know you’re saying we won the All-Ireland and we should have way more but if you look back to four or five years ago, we weren’t getting 300 at a game. We’ve multiplied that by 20. That’s not bad. Davy says that he doesn’t sleep too well several days ahead of a championship match but sleeps like a baby the night before. This he attributes to being completely prepared. In time, Davy says he will walk away from his current role but feels that will will never walk away from hurling. “It will be funny but I will take a break at some point. I’m preparing myself for that. That time will come. It could happen in the next two to three years but I have a feeling I’ll be back involved again,” he predicted with a wry smile.